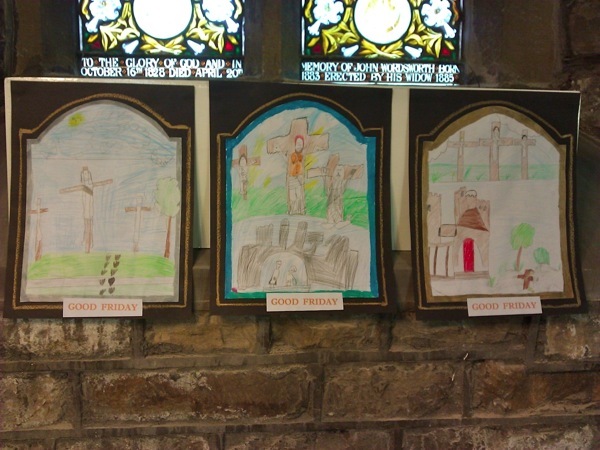 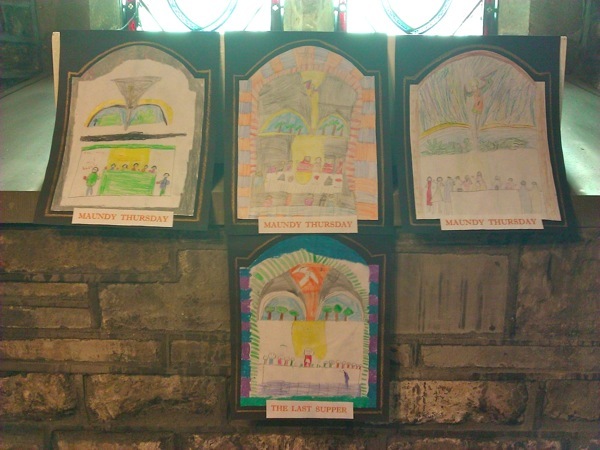 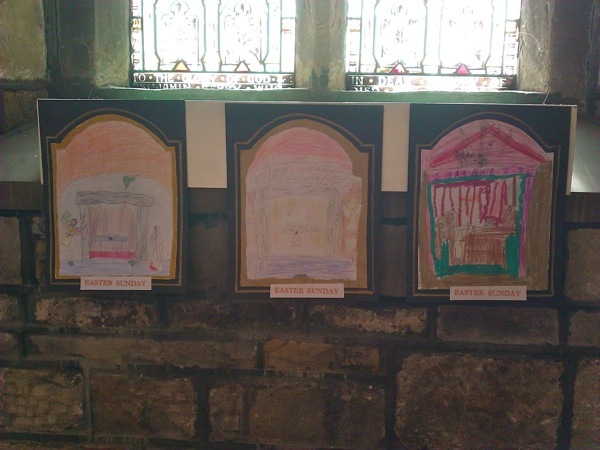 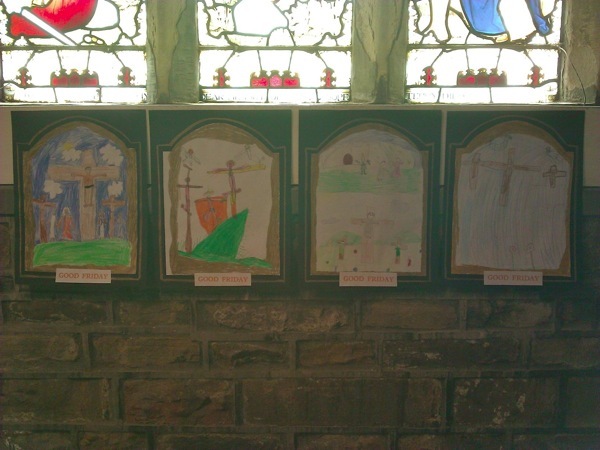 The children at the local Hill Top Primary School have been drawing pictures about Holy Week and Easter. 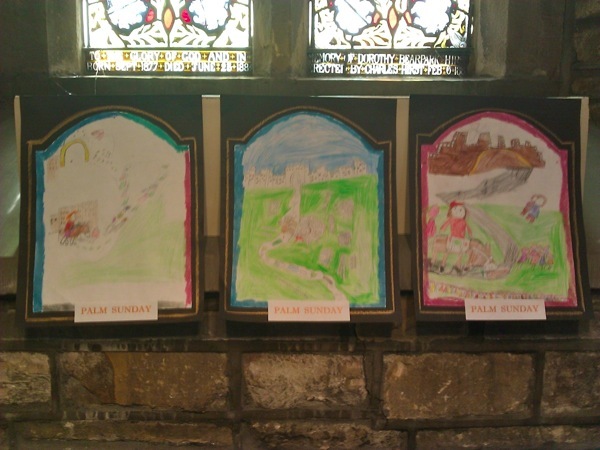 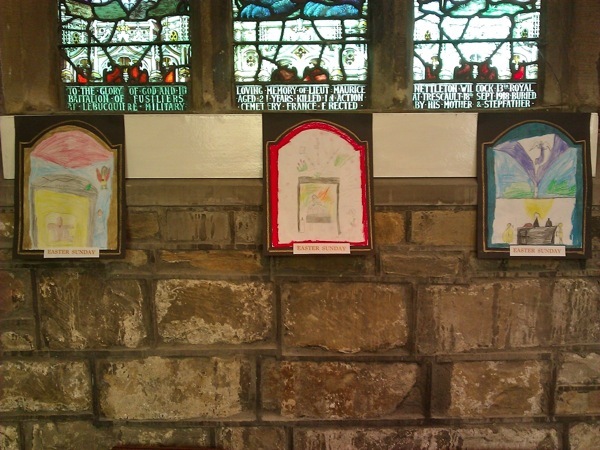 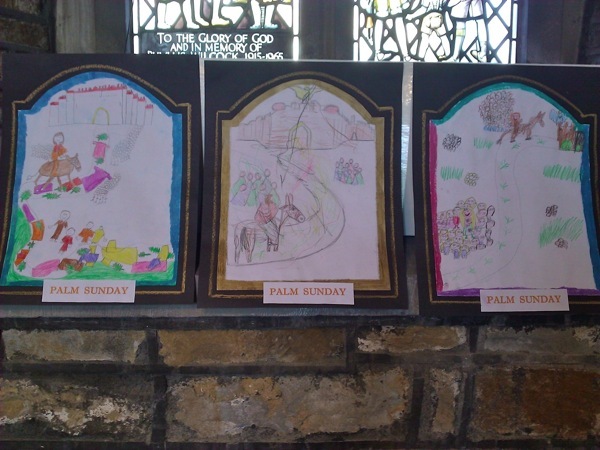 We have displayed the pictures around church from today, Palm Sunday. 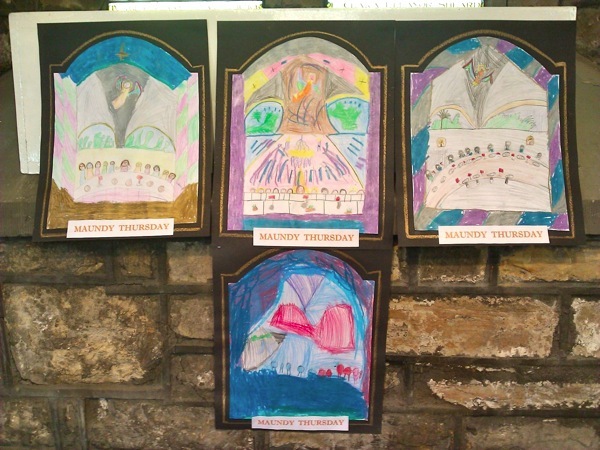 The pictures start with Palm Sunday, go through Maundy Thursday, Good Friday and finally Easter Sunday.